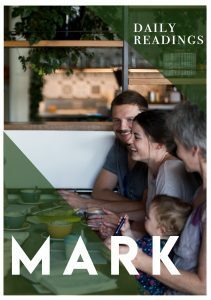 Mark’s gospel is significantly shorter than the other three (some scholars have described the gospel of Mark as “a passion narrative with an extended introduction), and so Mark passes over some episodes that the other gospels give more detail about. John’s arrest is one of those episodes. It is mentioned very briefly in passing, with no explanation given, and no assurance that John may still have a part to play in the story (spoiler alert: he does). But his arrest is closely connected with what happens next. We cannot know for sure that the arrest of John was the cause of Jesus returning to Galilee. But while John is proclaiming his message of repentance, Jesus knows that he still has some time up his sleeve. The herald is still pointing towards the one who is to come; the call to turn around in preparation for God’s chosen one is still going out. But as soon as John is arrested and thrown in jail, and his voice silenced (not yet permanently at least), Jesus knows it is time to act. So many times throughout the gospels we see Jesus taking time out alone in order to pray and seek his Father’s guidance and encouragement for what lies ahead. No doubt this was a fixture of Jesus’ devotion for much of his life. But here we see that the circumstances and situations of life can also dictate the time to act. God speaks through events as well as in that still small voice inside us. The external event of John’s arrest spoke to Jesus, just as much as God’s internal voice may have done. How has God spoken to you though the events of your life or others’ lives? Lord God, thank you for your guidance and your wisdom, your still, small voice, but also your willingness to grab our attention through the events of our lives. In Jesus’ name, Amen. What does God’s kingdom look like? What are the marks of the kingdom that we can expect to see as it grows in us and around us? This passage gives a wonderful picture of what the kingdom will look like. What Jesus spoke of that day was a manifesto of what he would do (and in fact what he went on to do) during his time on earth. What Jesus is reading to the people in the synagogue is a series of pictures of transformation – images to show them, and us, the ‘vibe’ of the kingdom. The good news of the coming kingdom of God would be preached, the lame would walk, the blind would see, the prisoners would be set free and the oppressed would be released. These are the marks of God’s kingdom. It renews, it heals, it transforms. It is a very different kingdom to what reigns around us at the moment. Jesus was painting a vivid picture of what his father’s kingdom looked like. But it was a very real, tangible picture, one that Jesus spent his life acting to bring about. We can read what he says here and then look at what he does throughout the gospels and see that they match: he talked the talk and then proceeded to walk the walk. That is what Jesus spent his time doing; it is also what we, his followers, are to do as well. We are to help accomplish this by following Jesus’ compassionate and confrontational example. “This is my mission,” says Jesus, and as his followers it is our mission too. 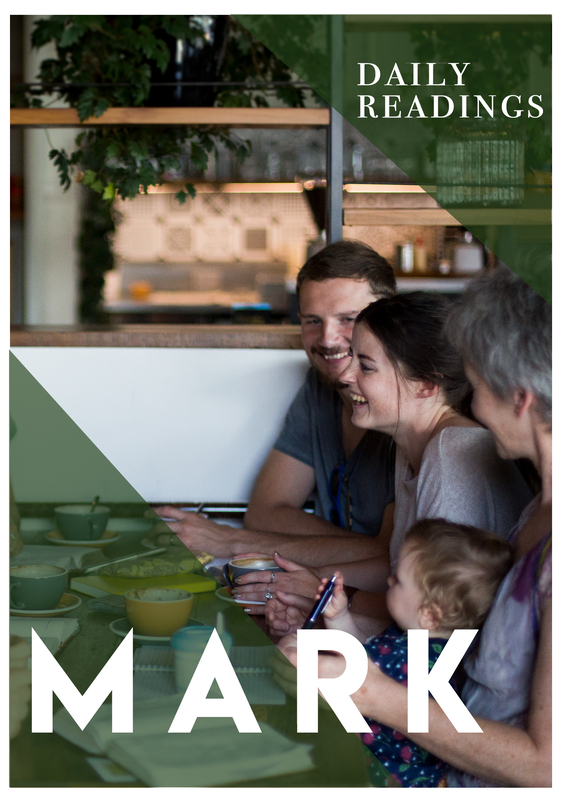 How have you contributed to growing and revealing the marks of the kingdom in your community? Heavenly Lord, may your kingdom come, and may I play a part in its coming in all I do. Give me eyes to see the kingdom as it blooms around me and a heart willing to offer itself for the world. In Jesus’ name, Amen. Jesus announced the coming of God’s reign in a very real, identifiable, ‘testable’ way. The passage from Isaiah that he read aloud in the synagogue contained a list of very explicit examples of what the coming reign of God would look like. Good news would be preached, prisoners would be set free, the blind would receive sight, the oppressed would be set free, and the year of the Lord’s favour would be proclaimed. Jesus announced the kingdom in three ways: by what he said, by the miracles he did, and by his actions. To put it another way; by word, sign and deed. His call was to preach and proclaim (Word), to heal and restore through the power of his Spirit (Sign), and to care for the down-trodden and broken hearted (Deed). Our challenge is to do the same. Jesus calls us to follow him, continuing the work he started. Each of these three—word, sign and deed—impacts the other two. They work together. They are signs that God’s kingdom is here, and a promise of greater things to come. The kingdom of God is about God’s rule revolutionising our lives and our world, and there is a part for us all to play in advancing this kingdom. These three pointers to the kingdom are not separate specialties. We are to do all three, just as Jesus did. It is a call to preach, to act justly and to offer compassion to all. This is the heart of his call. As his followers, we can do nothing less and, in the power of his Spirit, we will do so much more than we think possible. In what ways do you limit God? What do you dream of God doing in the world? Heavenly Father, help us to act with compassion to all around us, and through word, sign, and deed help us share your love will the world, and your freedom with all who are imprisoned. In Jesus’ name, Amen. Extract from Michael Spencer, Reconsider Jesus – A Fresh Look at Jesus From the Gospel of Mark. Source. How is the good news a call to something different today? Lord God, may we keep Jesus, the King, at the centre of what we do, as the focus of who you are, and as the reason we do what we do. Amen. If Jesus’ neighbours had got their way, the death of the son of God might have happened a lot earlier than it did, and may have ended up with a mangled body broken on rocks at the foot of a cliff rather than a mangled body on a Roman cross. Why did they try to kill him? What could Jesus have possibly said that incited the inhabitants of his home town to grab him and throw him off a cliff? First of all, they hadn’t heard Jesus say that God was going to liberate Israel from beneath the heel of her pagan enemies and oppressors. That would have puzzled them. After all, isn’t that what the passage in Isaiah goes on to say? Yet Jesus left it out. Secondly, even more outrageous than this omission were the comments Jesus made in defence of what he had read. He explicitly identified himself with the prophets of old, in this case Elijah and Elisha. And yet the examples he used of what those two mighty prophets did were deliberately provocative. Elijah helped a desperate widow – but she wasn’t a Jewish widow. Elijah healed a leper – but that leper was the commander of the enemy army. Jesus’ call that day involved a call away from tribalism and nationalism, and instead a call to include the outsider, the foreigner, those considered beyond the pale. God’s compassion is for all people, even those outside the traditionally defined boundaries of community. This was what got people riled up: God was saving the wrong people, he was reaching out to the wrong people, he was offering salvation and love and community to the wrong people. Who are your ‘wrong people’? Why? How can you show love to them? Heavenly Father, your love confounds expectations, shames our prejudices, and embraces everyone. Show me how to love like you love, and welcome others the way you welcomed me. In Jesus’ name, Amen.